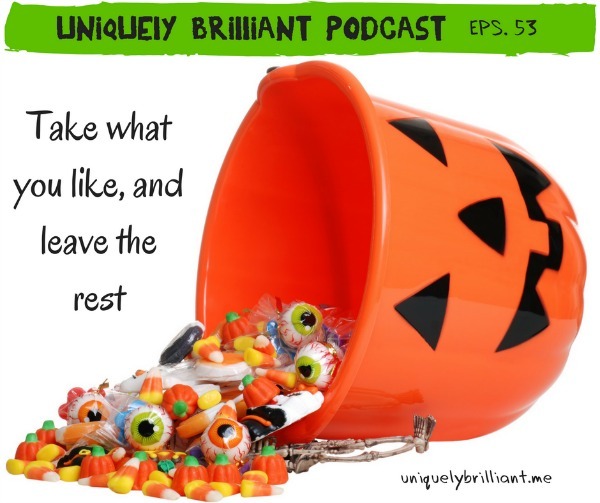 Becky and Diana encourage you to treat the opportunities in your life like a big bag of Halloween candy. Focus on the ones you like. A great way to choose your opportunities is to sort, organize, and trade. Be aware of a “Lack Mentality.” That there’s not enough. People compensate for feeling like they don’t have enough by creating a façade that looks like they do. In a Lack Mentality, we approach life as if we are in costume. The Lack Mentality teaches us to attract what external influences say we need, not what our true selves need. Giving up the Lack Mentality makes room for what you want and need. 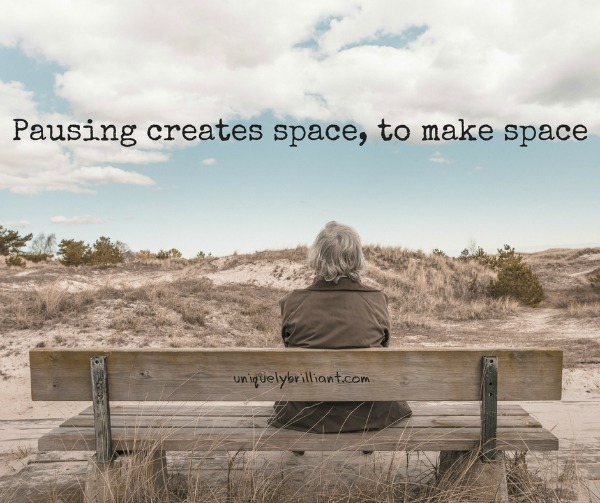 Things that take up physical space also take up mental space. That’s why cleaning out closets is so rewarding. Coaches are great at helping you sort, organize, and create a plan for delegating, especially when life gets overwhelming. We're celebrating our first year of podcasting by changing things up and interviewing each other on what makes us Uniquely Brilliant. So here’s the last episode of our first year: Diana Bader. Diana has always been different. She can’t easily explain it, but she has always seen the world differently. For much of her life, she had a strong support system that didn’t always “get” her, but allowed her to be who she was. It wasn’t until well into her adulthood that she ran into some strong resistance and began slowly changing to belong. However, her need to express her Unique Brilliance was stronger. It required her to make several hard, but necessary choices, in order to reclaim herself and be who she was meant to be. 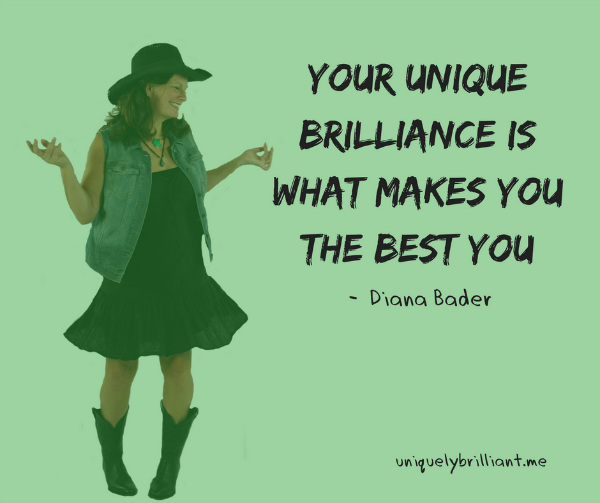 Diana now encourages teens, millennials, and the adults around them to “Be Who You Are” and embrace their Unique Brilliance, through coaching, speaking, and her book, “The Positivity Pact” that will be finished by the end of the year. Connect with her at FreshCanvasCoaching.com. We are celebrating our first year of podcasting by changing things up and interviewing each other on what makes us Uniquely Brilliant. First up, Becky. Becky Berry has spent her lifetime being a self proclaimed “Quitter.” She moved from job to job, acquiring skills, and thinking, “There has got to be something wrong with me!” Until one day, in July of 2014, she was riding her tractor, mowing her lawn, and listening to the Hack the Entrepreneur podcast, when she realized there was nothing wrong with her, she was simply Uniquely Brilliant. Now she helps women find their Unique Brilliance through her weekly blog, creating communities where women can gather, 1:1 coaching, and group coaching. 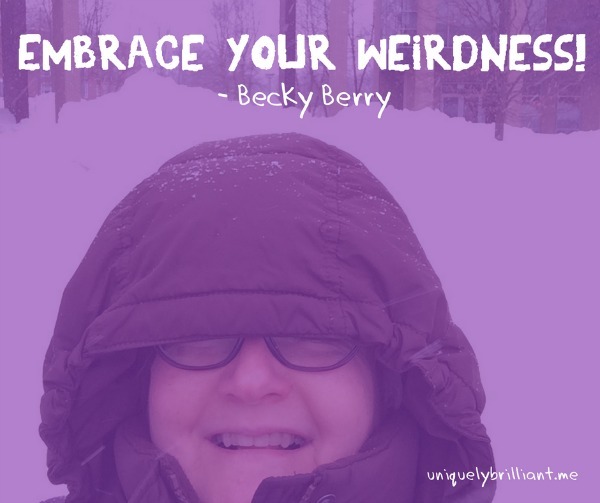 Find out more about Becky at BeckyBerryCoach.com. 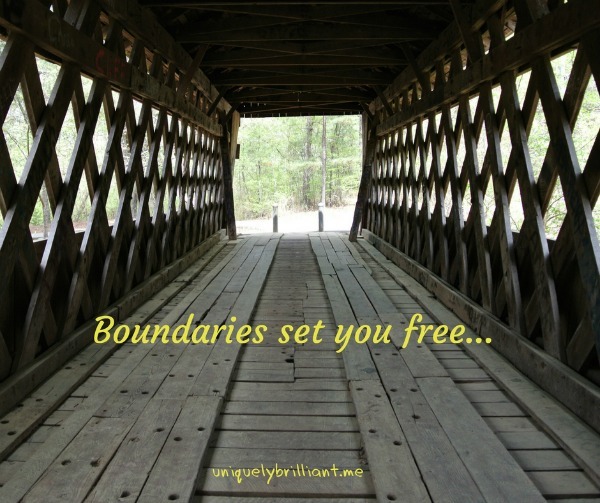 Becky and Diana discuss how setting boundaries gives you more freedom. Boundaries are often used with other people You need to apply them to you, too. Boundaries concentrate the awesomeness of you. Boundaries teach people how to treat you. Boundaries help those around you know the best time to connect with you. Boundaries allow you to set rules so people understand your priorities. Boundaries let you be free to be who you are. When you first set boundaries it can feel like you are walking on a new set of legs. Awkward! Stick with them! Great leaders set consistent boundaries and thereby model the value of boundaries to others. Setting boundaries with yourself and respecting them allows you to set more effective external boundaries. Becky and Diana explore the value of pausing as a tool for productivity. Pausing allows for time to reflect, regroup, and assess. A Pause = Planned Procrastination. Thoughts are like seeds and need time and space to grow. A pause is a temporary stop. Taking a pause allows you to address situations from a logical place instead of reacting from emotion. You can pause in many ways: play a game on your phone, take a walk, look out the window, take deep breaths. It’s about separating so things look different when you reconnect. You need to make decisions at your own speed, not someone else’s. To help yourself pause and be in the moment, begin identifying things in your surroundings, and name what you see (down to the carpet and your clothing). It will ground you in the present.